The Pebble, a watch that is being developed to work with the iPhone, has raised more than $7 million in financing on Kickstarter, a case that has signified the site’s coming of age. A law passed in 2007 that was intended to keep campaigning orderly and clean has been undercut by the unpredictable and uncontrollable Web. The Braiser, a project by the television analyst and lawyer Dan Abrams, will arrive online in mid-May and cover chefs who have cultivated worldwide reputations. Mobile firm Everything Everywhere has launched a campaign to pressure politicians to deliver the rollout of 4G services. One thing is certain. Politicians throughout the democratic world are pushing for stronger censorship and surveillance by Internet companies to stop the theft of intellectual property. The hidden fact is that CISPA completely avoids the issue of protecting critical infrastructure. The bill’s authors said the reason for CISPA not covering critical infrastructure was "that [was] outside of our jurisdiction." A new online tool is launched that lets individuals complain if they feel executive pay at companies is too high. I don’t think Internet trends like this necessarily mean we’re getting stupider. I think, instead, they provide important societal lens, a vital opportunity to glimpse mass consciousness. If we approach from the right angle, even the Y U NO guy can teach us something. Apple serves as a window on how technology giants have taken advantage of tax codes written for an industrial age and ill suited to today’s digital economy. Perhaps we have found a new metric by which to measure political power — the cables that link nations to other nations and regions, the networks which allow their citizens to communicate with each other, and the round trip time for data to travel. It is the new Law of the Sea. Dell’s first ultrabook is off to a strong start, offering some hope for the new class of skinny laptops. In the latest installment of its “iEconomy” series, The New York Times takes a look at how Apple minimizes its corporate tax burden, taking advantage of a number of legal maneuvers and loopholes around the world. Apple’s strategies are of course fully legal and used by many other corporations, but with a spotlight on Apple as it has rapidly risen to become the world’s most valuable publicly-traded company with record-setting profits, it has obviously attracted much attention about how it handles its money. – Setting up subsidiaries in low-tax locations such as Nevada, Ireland, Netherlands, Luxembourg, and the British Virgin Islands, routing as much revenue as possible through these locations. By routing much of its U.S. revenue through its Braeburn Capital subsidiary in tax-free Reno, Nevada, Apple is able to avoid California’s corporate tax rate of 8.84%, while also reducing its tax burden on money earned in other states. – Apple’s iTunes S.à r.l. subsidiary in Luxembourg consists mainly of a mailbox and a few dozen employees, but records $1 billion per year in revenue as the entity responsible for all iTunes Store transactions throughout Europe, Africa, and the Middle East. With the iTunes Store offering strictly downloadable goods, Apple is able to take advantage of favorable tax treatment available in Luxembourg as part of the country’s efforts to attract businesses. – Apple has substantial operations in Ireland, but the report notes that one of the main benefits of locating there is that Apple is able to internally transfer its patent royalty earnings to a subsidiary there, with the money being subjected to a 12.5% tax rate rather than the 35% tax rate found in the United States. More than one-third of Apple’s worldwide revenue is booked through its Irish subsidiaries. – Apple records 70% of its revenue overseas, even though much of the product value would normally be considered to derive from their design, which occurs in the United States. Overall, Apple paid $3.3 billion in corporate taxes in 2011 on earnings of $34.2 billion in profits, an effective tax rate of 9.8%, which is considered low by corporate standards. But with the company’s tactics relying on a complex and disjointed system of tax laws throughout the world, it is difficult for the United States to single-handedly require Apple to book more of its revenue in its home country, which currently has the highest corporate tax rates in the world when federal and average state rates are included. Apple has provided an official response to The New York Times, highlighting its role in job creation in the United States, the tax payments it does make, and its charitable giving. The company also notes that its business practices are in full compliance with all laws and accounting rules. Google’s collecting of personal information from unsuspecting households was a program supervisors knew about, according to new details from the full text of a regulatory report. There’s no easy way for American consumers to track the data dealers that share and sell their information. But a reporter tried her own experiment. A flood of conventional laptops won’t redefine the PC. 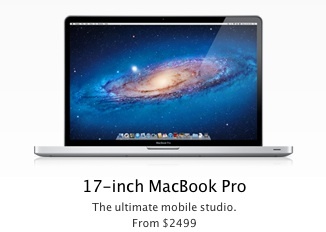 Stray too far from the ultrabook concept and it’s circa 2005 all over again. Jane McGonigal has the theory that games, once played for amusement, can guide and improve your life. As I sit alone, writing with this actual Papermate pen, which writes words you can feel, words firm and clear, that we are evolving into translucent creatures; internet sprites, who will twitter, text and pinterest through cyberspace. Could this six-year-old be the world’s youngest IT expert? Tom Dixon, now almost a veteran at the most anticipated design fair of the year — Salone del Mobile — managed to transform The Museum for Science and Technology into an ambitious environment for innovation and culture, MOST. Does Apple Or Samsung Wear The ‘Top Smartphone Maker’ Crown? The latest developer’s build of Firefox locks down security a bit and debuts new APIs to help the browser become more gamer-friendly. Samsung Electronics overtakes Nokia to become the world largest seller of mobile phones and reports an 81% increase in quarterly profits. The vote defies a promised presidential veto on a bill that encourages intelligence agencies and businesses to share information on cyberthreats. Amazon.com’s net income dropped 35 percent in the first quarter as the company spent on its Kindle Fire and other projects, but earnings still beat Wall Street’s expectations. Samsung is on a tear and dominating worldwide mobile phone shipments, according to two market research firms. The Federal Trade Commission named a former federal prosecutor to lead its antitrust inquiry in a sign that the agency is prepared to take the Internet giant to court. Back in late 2010, Apple announced that it would cease supporting Java for OS X, with Steve Jobs noting that Apple was always a version behind that being distributed by Sun/Oracle, which handled Java for all other platforms. Confusion about whether Oracle would step into the Java void created by Apple’s removal of support was addressed several weeks later when Apple and Oracle announced plans to expand Oracle’s OpenJDK project to include OS X as a means to deliver Java SE 7 to Mac users. Oracle today announced that is taking the next step toward OS X compatibility with the release of Java SE 7 Update 4 and JavaFX 2.1. For Java developers, the update marks the first release of the Java Development Kit (JDK) and JavaFX Software Development Kit for OS X. The OpenJDK community is continuing its work on a consumer version of Java SE 7 for OS X, and Oracle says that a public release for consumers will be coming “later in 2012”. This release marks Oracle’s first delivery of both the Java Development Kit (JDK) and JavaFX Software Development Kit (SDK) for Mac OS X. – Java developers can now download Oracle’s JDK, which includes the JavaFX SDK, for Mac OS X from the Oracle Technology Network (OTN). – Oracle plans to release a consumer version of Java SE 7, including the Java Runtime Environment (JRE) for Mac OS X later in 2012. While the transition to Oracle/OpenJDK for Java support on OS X continues, Steve Jobs’ comments about Apple’s Java packages always being a version behind and how that arrangement “may not be the best way to do it” proved prescient in recent weeks with the appearance of the Flashback malware. The latest incarnations of Flashback managed to infect over 600,000 Macs by taking advantage of a vulnerability in Java that had been patched by Oracle in February but which had not yet been patched on OS X. In response, Apple released several updates to Java for OS X, including one that disables the automatic execution of Java applets. As an additional layer of security, once a user manually turns on automatic execution, the system will once again disable it after a period of time if no applets have been executed. Andy Plesser: Video: Yahoo’s Levinsohn: We Are Investing Heavily in Premium Content"
A bill allowing access to private web data on suspicion of a cyber threat passes the US House of Representatives, despite a White House veto threat. A new home page, a refurbished New Tab page, and Google’s SPDY protocol for faster and safer browsing step up in the latest Firefox beta. A-Level computing student Isabell Long and technology correspondent Rory Cellan-Jones put the Raspberry Pi computer through its paces. Angry Birds voted best gaming app while Sky Sports News takes top prize at this year’s Appys award ceremony. Intel-based Lava Xolo smartphone keeps pace with ARM rivals, says report. There is still no evidence mobile phones harm human health, says a major safety review for the UK’s Health Protection Agency. The first beta of Opera 12 sees several new features take the stage as older browser options such as Unite and Widgets leave the scene. Samsung hints at what’s coming for Galaxy S3 phone with new quad-core chip. By giving the famous and those who aspire to be an unfettered soapbox from which to spout, Twitter has become a platform for celebrities’ public spats. Ericsson posted profit that more than doubled on higher demand in Asia and Latin America and the sale of a stake in a cellphone venture with Sony. Sprint Nextel’s net quarterly loss was nearly twice last year’s $439 million because of the expense of shutting down its Nextel platform, but was less than analysts had expected. Among the many anecdotes about Steve Jobs included in Ken Segall’s new book, Insanely Simple: The Obsession That Drives Apple’s Success, one in particular stands out for its glimpse into Jobs’ character, providing evidence of his willingness to engage in playful ideas when the mood suited him. The story takes place relatively soon after the launch of the original iMac, with Jobs wanting to find a high-profile way to celebrate the sale of the millionth one to mark Apple’s comeback from the dead. Those in the room with Jobs were amused by his excitement over the idea, but less than enthusiastic about seeing it come to fruition. Fortunately for those looking for a way out of it, California law required that all such sweepstake contests allow entry without requiring a purchase. Given that people would then be able to enter the contest without purchasing an iMac and there in fact being a very good chance that the winner wouldn’t be an iMac owner or even an Apple fan, Jobs’ pet idea for a Willy Wonka-themed prize was cast aside. Social media can become a source of irritation for couples. Some spouses have started insisting their partners ask for approval before broadcasting comments and photos. We need to talk. About Facebook. Or rather, EngagementBook. It’s Spring, the birds are chirping, and everyone is engaging the crap out of each other on my newsfeed. Following a series of aggressive development announcements this year, Mozilla unveils an equally ambitious plan to synchronize its release schedules by the end of summer. O2 unveils an app that allows users to transfer up to £500 via text message and speed up purchases from online retailers. Most of us have trouble remembering a single instance where we produced a tangible remnant of ourselves — solid, irrefutable evidence that we existed in this day, this month, this year. Companies that do not do enough to keep their websites secure are to be named and shamed to help improve security. Ariane Friedrich, an Olympic high-jump hopeful, published the personal details of a fan who sent her a sexually explicit message, prompting a stir in a country where the right to privacy is sacrosanct. Hewlett-Packard’s all-in-one PCs and a couple of towers are getting the first Ivy Bridge chips. YouTube’s “original channels” have been seen as the site’s first major effort to take on the television industry — and competitors like Hulu and Netflix — for advertising dollars. Sales in China helped lift overall iPhone sales by 88 percent over the same quarter a year ago, Apple said Tuesday, dispelling fears that sales would lag in nations with lower annual incomes. So, will that be a Windows 8 hybrid or iPad? That may be one of the bigger choices facing consumers in the next 12 months. Joaquín Almunia, the European competition commissioner, has been open to a settlement with Google on claims it abused its dominance. BodyMedia has entered into a partnership with Withings to import data from the Withings Wi-Fi Body Scale into the BodyMediaFIT Activity Manager. Shares in Chinese search engine Baidu fall more than 10% in after hours trading after a weaker-than-expected revenue forecast. The chipmaker is bulking up its interconnect portfolio by purchasing technology from the supercomputer pioneer in a $140 million deal. What If Facebook Isn’t So Special After All? The latest version of the free anti-virus/anti-malware program for Windows PCs runs on Windows XP, Windows Vista, and Windows 7. For a while, Netflix seemed like the smartest tech company around. […] Now, however, Netflix looks screwed…. Many people are a “soft touch” for fraudsters because they fail to wipe data from old disks, says the UK’s privacy watchdog. Tools to stop too much personal data being shared are being developed by a mobile industry body. The president of Venezuela remains in Cuba for cancer treatment, but keeps up a dialogue with political friends and foes that has led to a flurry of Internet rumors. Less than two weeks after Microsoft paid AOL more than $1 billion for a trove of its patents, Microsoft is selling or licensing those same patents to its online ally, Facebook, for $550 million. The release preview is generally the last stage before a product’s final version, which is expected in the fall. Alibaba.com reports a 25% dip in first quarter profit amid falling membership sales to businesses and higher operating costs. Government surveillance has not kept up with sites like Twitter and Facebook and new laws are needed, a former GCHQ chief says. By Kevin Wei and Mikhaela Padilla Kevin is a junior at Neuqua Valley High School and Mikhaela is a sophomore at Whitney Young High School…. Cloud security may emerge as one of the killer apps. Okta believes it can make it more palatable for enterprise to embrace cloud services. U.S. International Trade Commission judge finds that Microsoft infringed on some of Motorola’s patents with its gaming console. On Monday, researchers discovered that a type of malware continued to attack Apple computers through a security hole in Java software. Let’s put our daily conversations about information over-sharing in perspective and address what is by far the real danger to our security and national well-being. MySpace is rumored to be at the dawn of a complete overhaul, but this article isn’t about that. It’s about the hole that MySpace has left specifically in the music community. Google spent $5.03 million on lobbying between January and March of this year, a record for the company, and a 240 percent increase from the same quarter a year ago, according to disclosures filed Friday. Facebook says it is paying Microsoft $550m for some of the patents it recently bought from AOL, while reporting a drop in first quarter profits. Is The Science of Online Dating At All Scientific? Research analyst Ming-Chi Kuo, who has in the past offered accurate information on Apple’s Mac product roadmap, recently took on a new position with KGI Securities and has published a new report today indicating that Apple may be preparing to drop the 17-inch MacBook Pro from its lineup due to weak sales. Kuo’s prediction comes as Apple is expected to introduce new notebooks that serve as a hybrid between the current MacBook Air and MacBook Pro models, offering greater power than the Air but greater portability than the Pro. Kuo believes that Apple will elect to drop the 17-inch size as part of this revamp in order to streamline the company’s product offerings. According to Kuo’s estimates for the first calendar quarter of 2012, Apple sold roughly 3.1 million notebooks, with nearly half of them being the 13-inch MacBook Pro, far and away the company’s best-selling Mac product. But while Kuo predicts sales of nearly 1.5 million units of the 13-inch MacBook Pro, he sees much lower sales of roughly 500,000 15-inch models and only 50,000 17-inch models. Kuo estimates Apple’s first quarter MacBook Air sales at roughly 1.1 million, split nearly equally between 11-inch and 13-inch models. He believes that the MacBook Air is only meeting Apple’s expectations and not exceeding them, in large part because solid-state drives are not yet available in large enough capacities to satisfy consumers. But the trend of abandoning optical and traditional hard disk drives from notebooks will continue, and solid-state drives will continue to become more cost competitive over time. Following last week’s rumor that Apple is looking to adopt thinner in-cell touch technology for the display of the next-generation iPhone, analyst Ming-Chi Kuo, who recently took on a new position with KGI Securities, has issued a report looking at how that change could help Apple reduce the thickness of the iPhone from the current 9.3 mm of the iPhone 4S to under 8 mm. The move would help Apple to compete against its Android-based challengers, which have continued to see reductions in their thickness over time. Since Apple’s smartphone competitors have generally slimmed down their high-end offerings to 7-8mm, Apple needs to make a leap forward from 4S’ 9.3mm thickness. We believe Apple will aim at 8mm or below (at least 1.4mm slimmer) for iPhone 5, in a bid to ensure brisk sales through 2014, while peers will also continue to introduce increasingly slim models next year. As such, all iPhone 4S components that account for thickness must be slimmer, specifically, touch panel, battery and casing. Moreover, a marginal amount of space is required between the three parts for the sakes of assembly tolerance and thermal expansion of components. Kuo calculates that shifting to in-cell touch technology in the next iPhone will yield Apple just shy of 0.5 mm in terms of a reduction in thickness. Kuo envisions a similar reduction coming from the battery, which he predicts Apple will be able to broaden somewhat inside the casing, allowing for a roughly 10% reduction in battery thickness. A final 0.5 mm reduction in thickness could come from the use of a metal back case, which could come in at half the thickness of the glass back used in the current iPhone. Altogether, Apple could shave 1.4 mm from the iPhone’s thickness to bring the next-generation model in at just 7.9 mm thick. In yet another argument for the adoption of in-cell touch technology for the display in the next-generation iPhone, Kuo notes that display production would be greatly simplified, with fewer steps in the manufacturing process and fewer vendors being involved resulting in an estimated reduction in production time from 12-16 days to just 3-5 days. While the initial yield on in-cell touch displays is currently lower than for glass-on-glass manufacturing techniques such as those used for the iPhone 4S, that deficiency can be compensated for by re-bonding in-cell panels and cover glass units with the optically clear resin (OCR) used in the bonding process. The optically clear adhesive (OCA) used in the current manufacturing process can not be re-bonded if the initial bonding fails. The $50-per-month Creative Cloud subscription that arrives with CS6 leaves plenty of customers cold. But Adobe’s doing the right thing by adding the option. Adobe today officially announced the launch of Creative Suite 6, the next major update to the company’s bundles of popular design applications. The release sees new versions of 14 separate applications, including the flagship Photoshop CS6 that has been offered as a free public beta for the past month. Adobe today also officially introduced Creative Cloud, a subscription service offering access to all CS6 applications as well as other cloud services to facilitate the integration of desktop Adobe software with the company’s growing stable of tablet and smartphone applications. The entertainment entrepreneur Peter Chernin has made an arrangement with investors, who are taking a stake in the future earnings of his films and television shows and channeling him the money now. NimbleTV is the latest example of technology companies trying to break into the closed system of television distribution in the United States. What kind of software can you buy $2,600? Creative Suite 6, arriving in May with a long list of new features for those dealing with photo, video, Web sites, and publishing. Intel unveils 13 Ivy Bridge chips, promising more processing power and less energy use to help it head off Arm and AMD’s challenges. Recent privacy controversies for Google and other Internet companies show the pains of an industry intent on changing the world. Can’t wait for an Ivy Bridge system running the next version of Microsoft’s OS? Be patient. Linux creator recognized for his creation and ongoing work on the open-source operating system. The NLP models app is now in the app store. 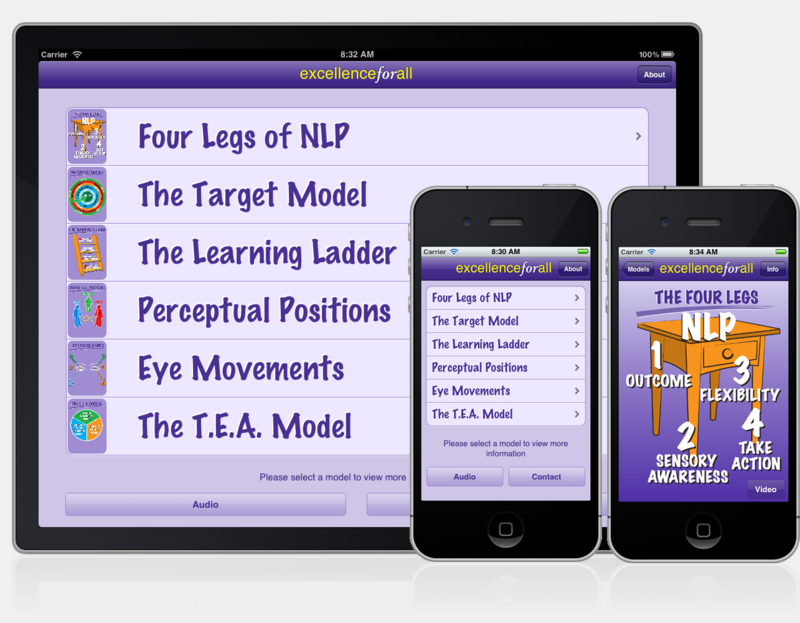 Made for our clients Excellence For All, the NLP Models app is a universal app for both the iPhone and iPad. The app provides an introduction to some of the main models of NLP, presented with colourful images, video and audio explanations of the NLP concepts. View or download ‘NLP Models’ at the app store. The owner of a new business tells the Haggler he’s irked by PayPal’s payment verification policy. Volunteers developed an app to track all of the city’s buses in real time, but it remains unused because the government cannot afford to buy the iPads required to run the software. A light bulb which won a US Department of Energy contest for an alternative to a 60-watt incandescent bulb goes on sale for Earth Day – but with a $60 price tag. Steve Rosenbaum: Is NYC beating DC in Tech? Sony’s fall mirrors Japan’s tech decline. A hacking attack cripples US-based Chinese-language website Boxun for several hours, its manager says, after reports on the Bo Xilai scandal. Mr. Curtis, who called himself a serial self-reinventor, played in a rock band in the 1980s and early ’90s before teaching himself Web design and then moved on to film, his third career. Employees are bringing their personal laptops, tablets, and smartphones to work rather than using the devices assigned to them by the organization they work for. No problem, the company says. Two British twins, who were 16 when they allegedly defrauded investors out of $1.2m via a bogus stock-picking robot, face charges in the US. Better ways to spot landing sites on the Moon are part of a Nasa competition to harness “citizen scientists”. The apps are free, but playing them can cost your kids a lot of money they don’t quite realizing they are spending. Caveat emptor? Or grounds for a lawsuit? Three more enterprise software companies have had exceptionally strong initial public stock offerings this week, continuing last year’s trend and proving that the market has real revenue potential. Could Your Smartphone Help To Diagnos Oral Cancer? Social-networking giant opens its second green facility for storing online data for its 845 million users. This is the life at Divide, where multiple-personas are a reality of having such a global team. But a hologram Tupac on tour? Long-term interest and success of 3D tech is notoriously hard to predict, once the novelty wanes. Ahead of its May 15th launch date, Blizzard is opening its Diablo III beta test to all comers as a stress test on the game’s servers. The free open beta weekend runs from now through Monday morning. Blizzard’s website has more details about exactly how to join the open beta. Diablo III will be $59.99 when it launches on May 15th and will be available as a digital download from Blizzard, or via the more traditional boxed copy. Spring is in the air. Flowers are in bloom, birds are chirping and Google’s taken the axe to a few more products, projects and features…. Associated Press reports that Apple has reached a deal with local governments to finalize its plans for a new data center in Prineville, Oregon. 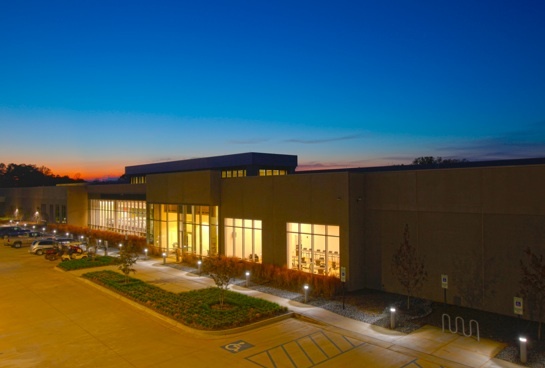 According to the report, Apple has agreed to invest $250 million in facilities on its 160-acre property, and will offer an annual $150,000 “project fee” in lieu of property taxes over the next fifteen years. The company has also guaranteed to bring at least 35 jobs to the center at 150% of the average wage in the county. The Oregonian reports that the value of the tax break will depend on how much Apple winds up investing. Similar tax breaks on Google’s $1.3 billion data center in The Dalles are worth more than $24 million to the company annually, the newspaper said. Apple paid $5.6 million for the project site back in February, and has already begun installation of a modular data center in order to build out some capacity ahead of construction on the main facility. Apple noted earlier this week in response to a Greenpeace report on data centers being powered by coal-derived energy that it intends for its Prineville data center to run on “100% renewable energy”. Apple just recently opened another data center in Maiden, North Carolina, where the company has indicated that it plans to spend $1 billion. The company is building a 20-megawatt solar farm and a 5-megawatt fuel cell facility at the data center, two of the largest privately-owned renewable energy projects of their kind in the country. You are currently browsing the DigitalWorkshed blog archives for April, 2012.